November 16, 2018 marks the 133rd anniversary of the execution of Louis Riel. 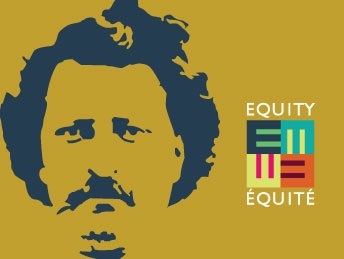 Members of the Métis community traditionally join together each year on this day to honour and commemorate the life and work of Louis Riel, and to celebrate Métis culture. Join the Law Society of Ontario and the Métis Nation of Ontario, on November 16th to mark this important occasion. Lunch: 12:30 – 1 p.m. Performance: 3 – 3:30 p.m. Please enter through the east-side doors facing Nathan Phillips Square. equityevents@lso.ca | 416-947-3413 | 1-800-668-7380, ext. 3413. Photographs and video taken at this public event will be used in Law Society and partner organization print and online publications. Members of the media may also attend this event.